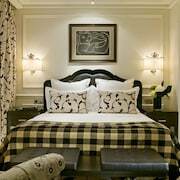 With a stay at RÃ©sidence Alma Marceau in Paris (16th Arrondissement), you'll be minutes from Lido and close to Arc de Triomphe. 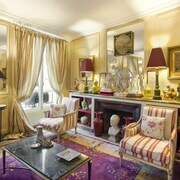 This 4-star residence is close to Eiffel Tower and Galeries Lafayette. Make yourself at home in one of the 10 air-conditioned rooms featuring kitchens with full-sized refrigerators/freezers and stovetops. Rooms have private furnished balconies. Satellite programming and iPod docking stations are provided for your entertainment, while complimentary wired Internet access keeps you connected. 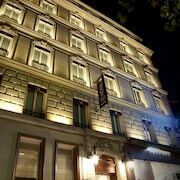 Conveniences include safes and complimentary newspapers, and housekeeping is provided on a limited basis. Pamper yourself with onsite massages or take in the view from a terrace. Additional features at this residence include complimentary wireless Internet access, concierge services, and babysitting/childcare (surcharge). Grab a bite from a grocery/convenience store serving guests of RÃ©sidence Alma Marceau. Featured amenities include complimentary wired Internet access, a 24-hour business center, and limo/town car service. A shuttle from the airport to the hotel is provided for a surcharge (available on request).